Mekong delta is one of the most favourite destinations with travelers when they come to Vietnam. This potential tourism place has a typical natural landscapes, including mainly delta and sea. Mekong delta is really a poetic and romantic wetland and it is very famous for fresh air, natural resource, traditional culture, folk festivals and so on. Another really special fruit, Durian is one of the most famous kinds of fruits. When they are ripe, their shells separated themselves, which makes four or five different zones. They are yellow and have special flavor which make durian be very different from others. They are a little greasy and sweet. However, it seems to be not easy for anyone to eat this typical fruit.For some, the flavor of durian is foul-smelling. When smelling it, they feel uncomfortable and even they want to avoid them. Nonetheless, if you can smell this special flavor, Durian is one of the best taste that you have ever eaten. And you know, Cai Mon durian is a famous trademark in Mekong delta because of its quality and appearance. The size of Cai Mon durian is outstanding in comparision with that of other trademarks. It is around 5 kilograms per one. Moreover, They are also appreciated by many markets in the world such as Thailand, Singapore and so on. Jack fruit is among the most delicious fruits in Mekong delta. It is very attractive for travelers because of both its taste and appearance. 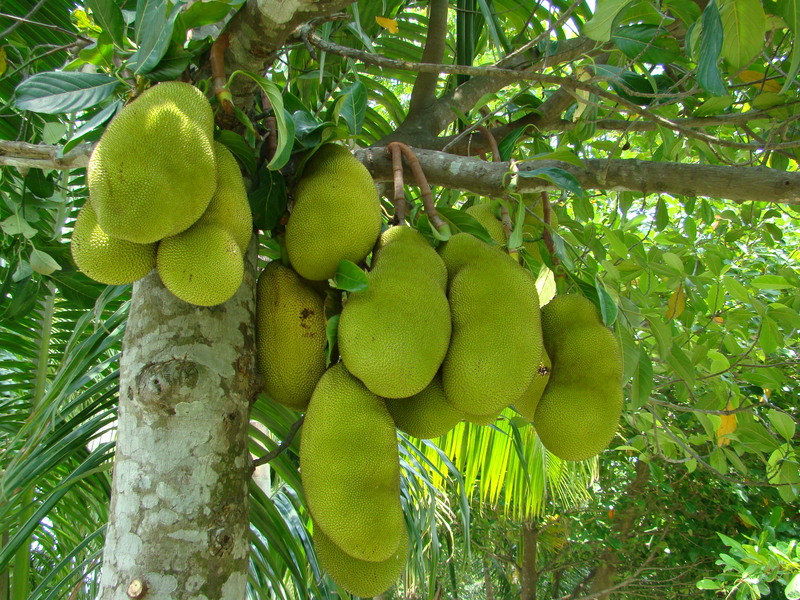 This kind of fruit has average weight about 4 kilograms and it is suitable for 5 sets. 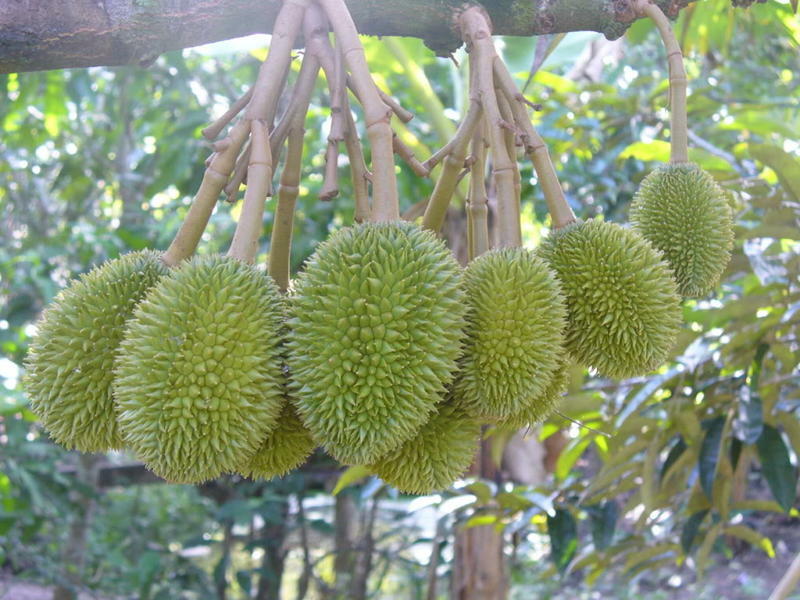 Somebody says that Jack Fruits look like durian. However, They are really absolutely different in taste. Jack fruit’s flavor is fragrant and its zone is dark sweet and tasty. 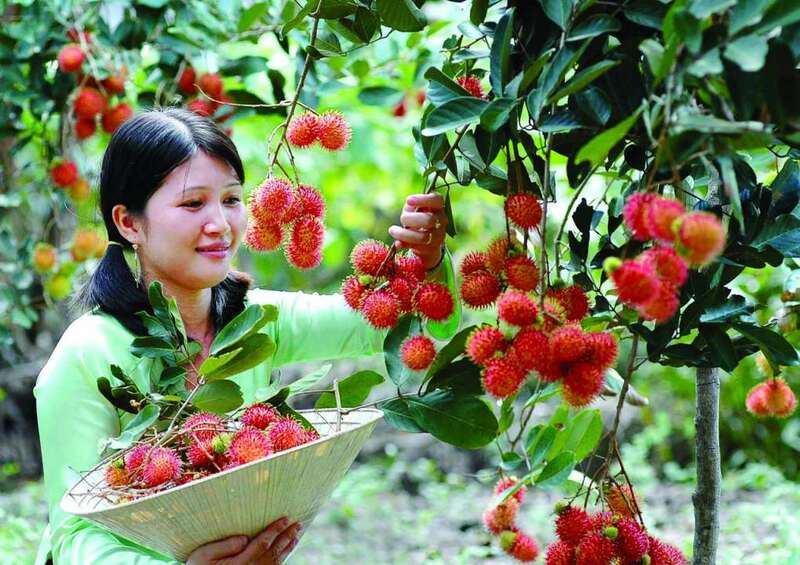 If having chance to visit Mekong delta, you should try to enjoy this fruit. 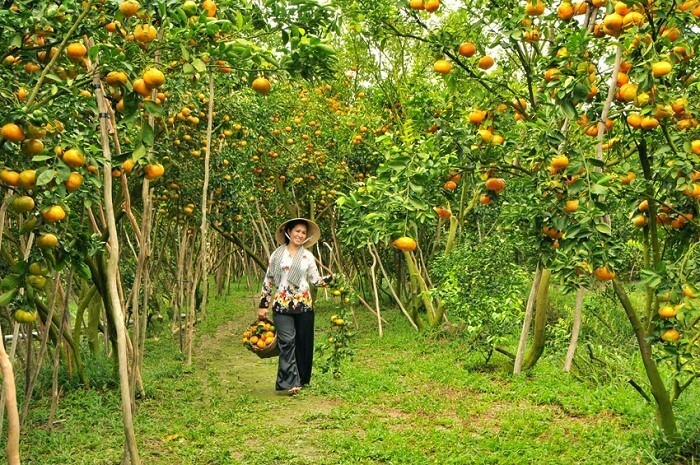 In Mekong delta, travelers will have the opportunities to travel 3 largest fruit orchards, where gather all distinctive fruits for the region, but each orchard has its own unique kinds of fruit. 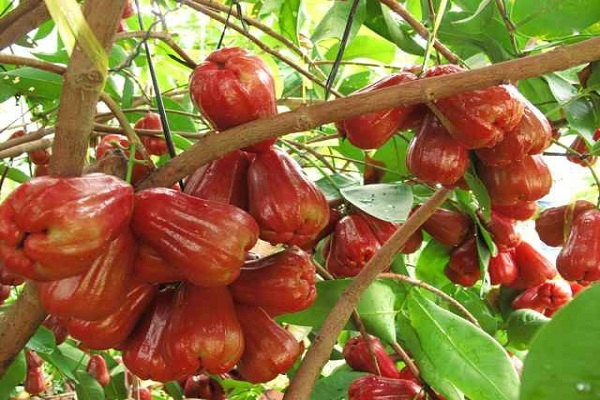 According to that, Cai Be fruit orchard in Tien Giang province, Cai Mon fruit orchard in Ben Tre province and Vinh Long fruit orchard are the most famous name about fruits in Mekong delta. Mekong delta is the symbols of a beautiful destination with the natural diversity. Traveling here, you will have a better chance than any where else to explore and enjoy fruits in the garden and enjoying many kinds of fruit will be an interesting experience in your journey. Hopefully, you have a good trip to Mekong delta!